BERLIN (Reuters) -- German supplier Continental posted lower profit in the third quarter as it took a writedown in its powertrain division but said it could still beat its profitability target this year. Group adjusted earnings before interest and tax (EBIT) fell 6 percent to 962 million euros ($1.2 billion), missing a consensus forecast for 1.01 billion euros in a Reuters poll of analysts. The drop reflects writedowns of about 334 million euros in the powertrain business, Continental said. Still, the group said its adjusted operating profit margin could slightly beat a target of around 11 percent this year and stuck to a forecast for sales to increase to about 34.5 billion euros from 34.5 billion in 2013. Analysts noted that earnings slipped from unusually high year-ago figures. The adjusted quarterly EBIT level of 1.02 billion euros posted in 2013 was the best result for at least the past 11 quarters, according to company records. By comparison, Japan's Denso Corp., partly owned by Toyota Motor Corp., last week posted a 16 percent decline in six-month operating profit as development costs and investment outweighed higher revenue. 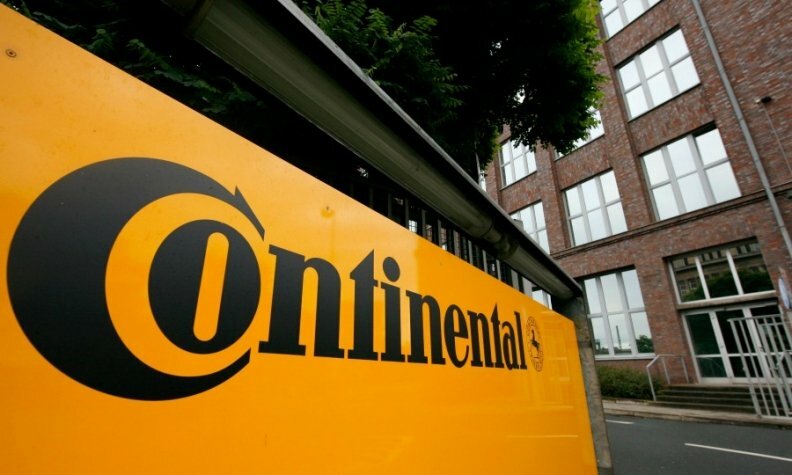 Buoyed by more than 6 billion euros of liquidity, Continental is on the lookout for deals in the rubber industry and other non-automotive segments to trim its reliance on volatile car markets, finance chief Wolfgang Schaefer said last month in a newspaper interview. After buying U.S.-based Veyance Technologies, which makes industrial hoses and belting, for 1.4 billion euros this year, Continental could shoulder another deal worth up to 2 billion euros without impacting its credit rating, the CFO said. Continental aims to increase the share of sales it generates with industrial businesses to 40 percent from about 30 percent over time.